At Honda, we fully believe that 360-degree visibility makes for the safest drive possible. We started with the Crosstour and took a comprehensive approach to enhancing diriver visibility. We want you to be confident on the road and we think the rearview camera is what you need. And now, our efforts have been recognized by the National Highway Traffic Safety Administration (NHTSA) as part of its 5-Star Safety Ratings program, with most Honda models with rearview camera systems becoming the first vehicles to be recognized for meeting the Advanced Technology Feature performance criteria. You don’t have eyes in the back of your head, but we’ve got the next best thing. When you shift into reverse, a real-time image of the area behind your vehicle appears on the display screen with yellow parking guidelines to help judge distance. As soon as you shift out of reverse, the display turns off. Now, reversing as safer and easier; you’ll never have to worry that something is behind you again. Our rearview cameras are just one of the aspects that enhances driver visibility and awareness with a 360-degree approach. 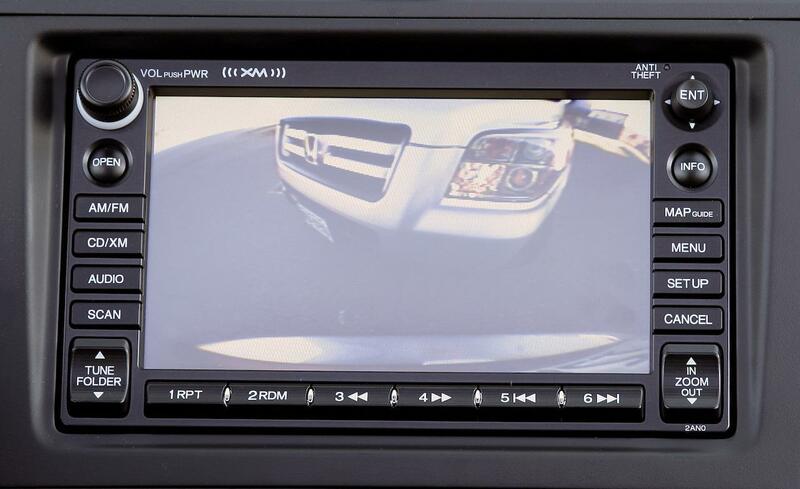 The rearview camera system works with the Forward Collision Warning and Lane Departure Warning systems which are also offered on many Honda vehicles. These systems work with a camera mounted behind the windshield or a front mount radar system to warn drivers of a potential collisition with a vehicle in front of them or if the car is moving out of the lane. You can add the Expanded View Driver’s Mirror and Honda LaneWatch display to truly enhance your visibility and safety on the road.